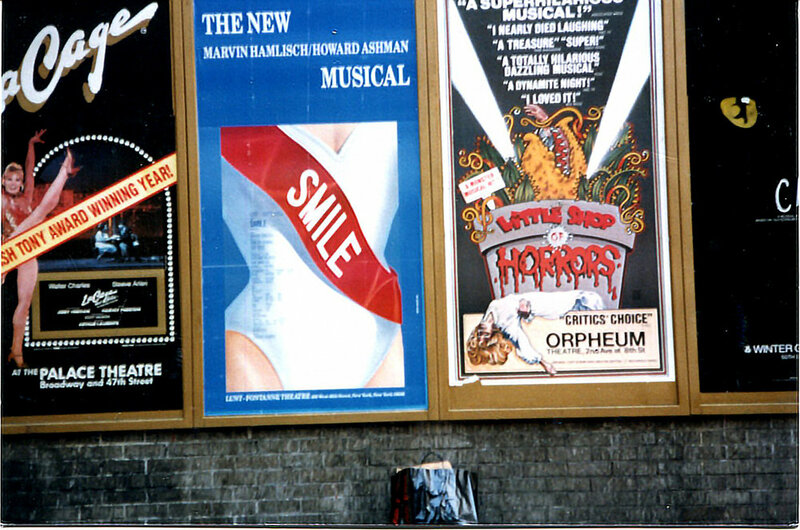 In New York’s Shubert Alley, 1986, posters for both of Howard’s shows – SMILE on Broadway and Little Shop of Horrors off-Broadway - hung side by side. 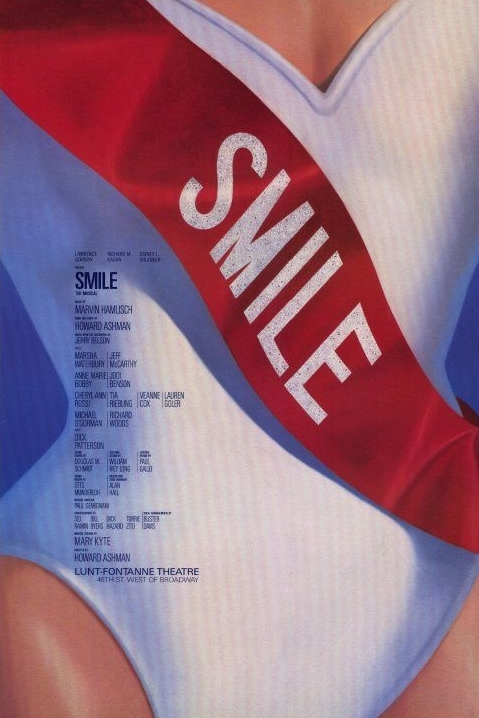 The musical Smile is based on the 1975 Michael Richie film (screenplay by Jerry Belson) of the same name. The film had been optioned by Marvin Hamlisch and Howard had originally vied for the job of scriptwriter and lyricist but been turned down. Five years later, he was again given the opportunity to work on the show and quickly agreed. 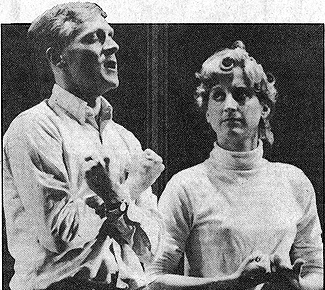 Howard on the set of Smile with actress Jodi Benson, who would go on to play Ariel in The Little Mermaid. 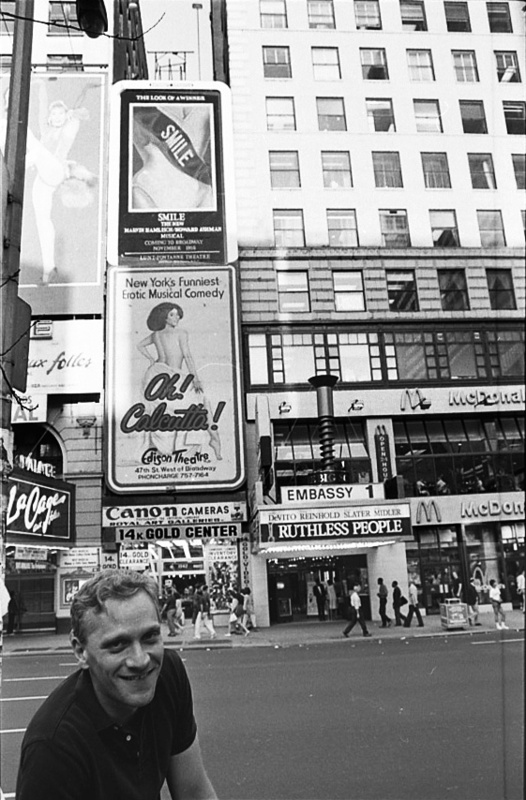 Mixing idealism with disillusion by casting a jaundiced eye on the world of beauty pageants and a loving eye on the world of young women starting out in life, Smile challenges while it entertains. The story follows roommates Doria Hudson and Robin Gibson as they vie to be named California’s Young American Miss. In addition, we follow pageant director Brenda DiCarlo as she relives her youth and plots her future, oblivious to the price demanded of all those who would have it all. Pageant roommates and contestants Doria and Robin are polar opposites. Doria is from a broken home and yearns to disappear into the world of pageants. She has been competing for years. She takes Robin, who has never entered a competition before and is unsure why she has done so this time, under her wing. As the girls go through their rehearsals and interviews, we get to know them well. We also get to know Brenda and her family. Brenda needs to make the pageant a success so she can do what she wasn’t able to do when a teen - go on to the nationals, this time as pageant director. 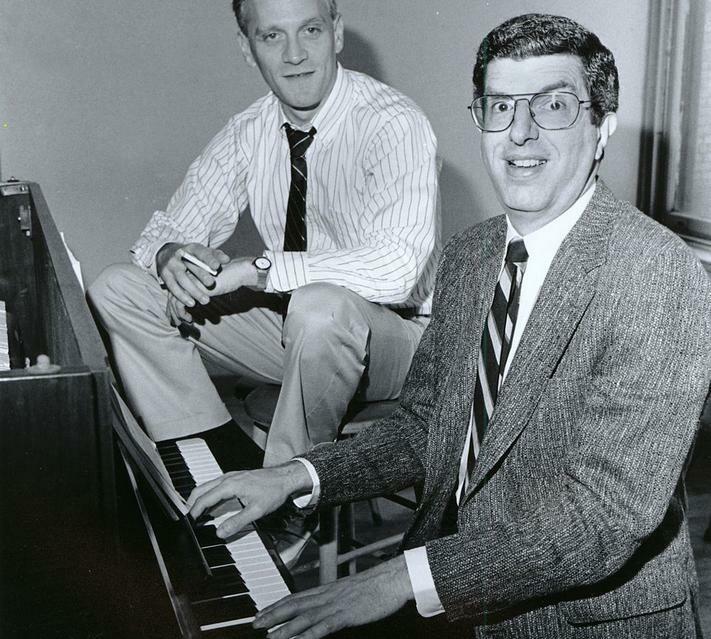 By far the best known song from Smile, “Disneyland,” was written well before Howard was signed by - or even had considered working for - the Disney Company. It is now a staple among young hopefuls vying for spots in Broadway musicals. On the day of the pageant, nerves and anxiety abound as, through the course of the evening, the girls conspire against one contestant, and Brenda and her husband discover that their innocent son is not as innocent as they thought. Indeed, by the end of the evening we discover that no one in Smile is innocent or blameless as truths are told and secrets revealed. Smile examines the inner travails of these quintessentially American characters with a deft combination of humor and empathy. Nominations for Outstanding Featured Actor in a Musical (Michael O'Gorman) and Outstanding Costume Design (William Ivey Long).